Philly Music Lessons is a family owned and operated music school located in the heart of Fishtown, Philadelphia. We offer private lessons (all ages), baby and toddler classes (ages 0-3), big kids music classes (ages 4 -6) and group lessons for kids (guitar, violin and voice). We have a number of teachers with extensive experience working with children. We make sure to keep each lesson or class fun and entertaining, while providing the musical foundation necessary to learn at higher levels as your child grows. Students have the opportunity to perform in biannual recitals and shows throughout the year. Covering the fundamentals of piano (keyboard instruments), ukulele (fretted string instruments), and drums (percussion instruments), our music class for kids, ages 4-6 is a creative, group approach to learning music. Children have the opportunity to gain a broad understanding of music for $15/class (45 minutes each). The fundamentals they learn will pave the way for studying a variety of instruments. Core musical concepts will be explored through experimentation and social learning. With small class sizes, there is ample room for discussion, questions, and spontaneity. Experimentation and fun are key, and curiosity is embraced. Subjects covered include how instruments work, note reading, ear training (pitch), time, and rhythm. How sounds are made (with strings and mallets inside of the piano for example) and how pitch changes are observed through play. Art is also used to reinforce concepts, illustrating notes, finger numbers, patterns, and more. Instrument making will engage children, bringing the learning process into the home through the collection of natural materials for production. Each child will also be able to take home their own kazoo. Kazoos help strengthen connections between the voice and ear (pitch). Learning to make noise by following patterns on piano or notes on paper is a practice they can take home week after week. Encouraging children to hum while working with their favorite songs is a great way to build ear skills! If you are interested in classes, but can’t commit to our regular schedule, you can drop in to classes for $20 with notice (contact us here). Starting with kids ages 4 and up, private music lessons are available for guitar, piano, ukulele, bass guitar, upright bass, drums, flute, voice, clarinet, violin, cello, saxophone, trumpet, banjo, and trombone. Lessons begin at $25 for a half hour in our Fishtown studio (view our rates for more information). Our teachers work with kids of all ages and skill levels, making sure to keep the lessons fun and exciting. Our goal is to inspire a life-long passion for music just as our first teachers did for us! For in-home lessons, our teachers travel throughout Philadelphia, the Main Line and Lower Merion. If students have an interest in taking lessons with friends or family members, we also offer joint music lessons! Please ask about our rate difference for joint lessons of at least 2 or more children. Just a walk from anywhere in Fishtown, Kensington or Northern Liberties, these music classes are a unique way to meet and play with others in the community. Fishtown is just off the Girard or Aramingo exit from I-95, or a quick spin through the city for Philly families. Tots gather weekly for sing-alongs, movement and other musical activities specially made for babies and kids. Children will have the chance to learn songs together and explore a variety of kid’s instruments: jingle bells, the piano, shakers, and more. Little babies usually enjoy sitting in mom’s lap as they listen, observe, and learn. Toddlers tune in each week to familiar friends, songs, and beloved routines. Three year olds lead, participate, and add both spontaneity and creativity to classes. Providing energetic vocals and guitar, our teacher plays plenty of classic and new children’s songs (with rhymes, hand games, and playful lyrics). These are the kinds of classes that will kick off your day with good cheer! Weekday music takes place on Tuesdays and Wednesdays at 10 AM and Wednesdays at 11:30 AM. Weekend music times are indicated on our calendar (typically 2-3 Saturdays per month). Classes are $10 each when you sign up for the month (with flexible make-up options on Saturdays and select weekdays). We also welcome occasional visitors (drop-ins) for $15/class! If you want try out a class before signing up, you can always contact us to attend your first class for free. Our teachers have created group classes for some of the most commonly learned instruments. Taught by our violin, guitar and voice teachers, classes focus on propelling complete beginners forward to a place where they can begin to play songs together. Students will learn their preferred instrument among peers, and can gain performance experience with recital opportunities. At $15 each, classes are organized into age groups and arranged based on availability and instrument. Classes can occur on weekday or weekend mornings, afternoons, or evenings (contact us to find out more). Our next launch of classes will be for the summer months, set to begin in June. Classes take place throughout the summer and can be extended into the Fall based on group interest. For students with irregular schedules, drop-ins can attend classes for $20 each. Students will need to bring their own instrument. If students do not have a violin or guitar, Philly Music Lessons offers beginner violin rentals, and we can also make suggestions as to where you can rent or purchase a decent instrument. Meet our Cello and Violin Teacher! When did you begin playing cello, and why? : The cello was actually a Christmas present when I was 14. The gift consisted of a plywood cello and bow, a methods book, and a VHS of How to Play the Cello. Like so many people out there, I loved the extensive range and overall sound and tone of the cello. Also Yo-Yo Ma was making regular performances in the Twin Cities in Minnesota and I made a point to go to every concert I could. I guess my Mom took notice! What are your personal goals as a musician? : To continually improve my technique and skills in teaching and performing, and to pass along that knowledge and experience on to my students. Specifically here in Philly, to use music as a means to better the lives of individuals from all walks of life. What was the most difficult of your instruments to learn – piano, violin, or cello? : Probably violin, I started at an early age with piano and pursued it as a secondary instrument in college but didn’t pick up violin until I was well into my cello studies. The technique concepts are similar, but the weight and balance distributions take some adjusting to! Do you have a memory of a time when a musical concept or technique really clicked? Something you’ll remember forever? : VIBRATO! I learned a certain approach and positioning in my early years, and it wasn’t until much later in my studies and careful observations of talented and successful musicians that I realized my positioning needed to be adapted. Observing and experimenting with technique is something I always encourage my students to do. What is your favorite piece of advice from one of your past (or current) teachers? : Make a great sound, and don’t injure yourself. (Jeffrey Solow) Words to live by! What was your most challenging moment learning an instrument? : Practicing! Always a challenge. What is your biggest musical achievement? : The recent completion of my Master’s Degree at Temple University, more specifically the lecture recital I gave in early May which was the culminating project of my two years of studies. Favorite thing about teaching? : Seeing the expression on my student’s face when something finally clicks and they get it! I feel very proud of them, and myself for getting them to that place. I teach cello, piano, and violin. I received my BM in Cello Performance from the University of Minnesota, and recently graduated from Temple University with my Masters in String Pedagogy. While at Temple, I taught private lessons through the Community Music Scholars Program (CMSP), where several of my students won top positions in the regional All-City orchestras, with one graduating student pursuing her BM in cello this fall. I have over 10 years of teaching experience working with a wide array of ages and abilities, from students as young as eight years old to adult beginners as well as pre-conservatory students. My teaching method puts focus on the individual and what they hope to gain through their musical pursuits. I emphasize playing in a healthy and relaxed manner, and finding what works best for the student. I incorporate my extensive knowledge of music theory and technique to build a solid foundation for a lifetime of musical enjoyment. I teach beginner violin, beginner to intermediate piano, and beginner to advanced cello. In addition to my teaching schedule, I also perform with several orchestras and ensembles in the greater Philadelphia area. So it came again, the time of year for a Philly Music Lessons recital. Last year, we were pleased to present, to our students and community, the very first Philly Music Lessons recital. The performance took place at the Ukranian League, situated in the Fairmount neighborhood of Philadelphia. Rookies from all across Philadelphia and the surrounding areas tested their live chops on guitar, piano, vocals, and drums for the very first time that night. This year, with even more bourgeoning musicians in the lineup, we were able to showcase our students’ talents, backed by the impeccable acoustics of the Church of the Holy Trinity just off of Rittenhouse Square. The ornate dome of the church, which arched high above the grand piano and musicians, opened up into a wide vault. Here, in the sanctuary of the church, parents and friends watched eclectic performances: Blue Monk arrangements on piano, an epic jazz guitar improvisation (one of the many teacher-student duets), and a crooning electric guitar solo that reverberated Metallica into the vaults. First up to perform was Ian McGrath. He had a great sense for the tune, and was able to interpret on the spot like a true jazz pianist. Bravo, Ian! It’s not every day that young students decide they want to take on the challenge of learning jazz improvisation! What better city to explore this musical genre than in Philadelphia. Next to stage was Addie Dash. Addie is a relatively new student with Philly Music Lessons, yet she wowed the audience with her delicate and soulful, finger-plucked rendition of “Deep in the Heart of Texas”. While her guitar instructor strummed along, Addie confidently navigated the frets and strings while she played the melody beautifully. Not bad for a 6 year old! Following Addie was her sister, Hayden Dash. She offered an energetic piano performance of Do-Re-Mi, from the Sound of Music. Hayden kept great rhythm in both hands, hitting chords in her left, and playing the classic melody in her right. Philip Dilgard Clark returned again this year to show us his continuing progress. Philip began guitar with us when he was just 4 years old, and has already started to cultivate some serious guitar skills! He confidently strummed the chords of “Sweet Caroline”, by Neil Diamond, and rocked out into a fun, finger-plucked melody of “Old McDonald”. We loved this song pair and Philip’s emerging style. Noah Williams changed the tone, and sat cooly in his chair to transport us all into the heavy metal era of the 90s. The combination of the pristine acoustics with the grunge electric guitar sound was, well, awesome! Noah’s choice to cover Metallica was a welcomed modern performance. So you’ve been playing guitar for a couple years now, and you’ve got all the basic techniques down. Bar chords are no problem, you can solo with the major and minor pentatonic and blues scales, and maybe you’ve even gotten into learning some 7th chords or rootless voicings. Now the question becomes: do you know what you’re playing and why you’re playing it? This is where music theory comes into the equation. If you want to better understand chord makeups, chord progressions, and what scales and melodies can work over them, then you have to start to understand at least the basics of music theory. Applying what you learn from theory can open up new worlds of possibility in your playing and composing, and can really help spur on some periods of creativity and inventiveness. However, tackling these concepts immediately on the guitar can prove a daunting task because of how string instruments are constructed, so I recommend learning some basic piano. But I’m a guitar player you say! Why should I learn piano? Well, piano really is the ultimate theory and composition instrument because of how logically it’s laid out for you. (Disclaimer: If you haven’t done so already, you’re going to want to learn how to read notes on the guitar so that translating what you learn on the piano to the guitar won’t be so difficult. I personally recommend starting with Mel Bay’s Modern Guitar Method: Grade 1, and then moving onto Berklee Press: A Modern Method for Guitar, Volume 1.) Even getting through just the first half of one of these books with a good teacher should at least give you the foundation to figure out how to translate notes from the piano to the guitar. For example, you might see something as follows when you first begin learning theory, and if you don’t know the notes on the treble clef it’s almost impossible to understand. It explains the order of half steps and whole steps which constitutes the major scale in any key. At Philly Music Lessons we believe that in-home lessons are vital to parents who want to give their children the gift of music, but have very busy schedules. You can’t beat the convenience of having one of our professional and dedicated teachers come directly to you. All you need is an instrument, and the instructor will provide everything else necessary for the lesson. We’ve been teaching guitar, piano, drum and bass lessons in the Greater Philadelphia area for over 5 years, and getting to know the students and parents in each town has been a pleasure for all of our teachers. In-home lessons seem to create a bond between student and teacher that doesn’t exist in the more sterile atmosphere of a music school. Over the years we’ve had teachers who have been invited to their student’s birthday parties, graduations and bat mitzvah’s. I have personally been teaching in Lower Merion, right outside of Philadelphia, since Philly Music Lessons began. Some of my first guitar and piano students were in the Rosemont, Haverford and Bryn Mawr areas. 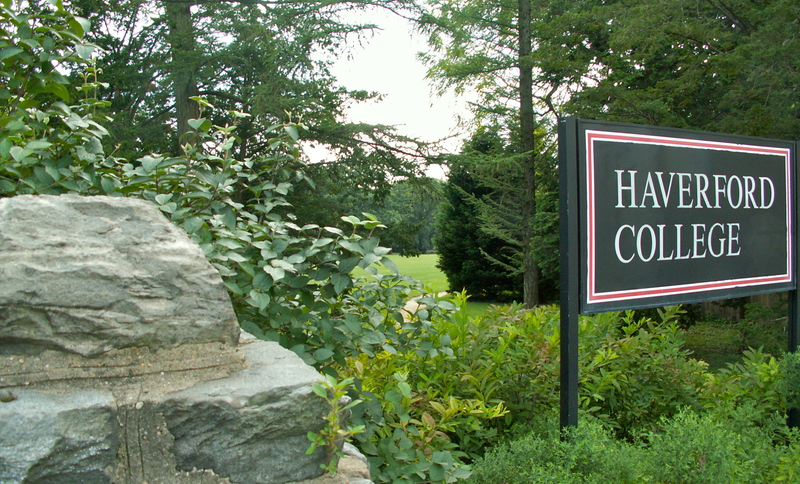 Many of them attend some of the local elementary and high schools such as Harriton High School, The Haverford School, Haverford High School, Coopertown Elementary and The Shipley School. Our convenient and affordable in-home lessons have enabled countless kids in the area to learn music in the comfort of their own homes! Montgomery and Delaware counties also offer a whole host of colleges and universities, just a couple miles from the West Philadelphia border, including Haverford College, Bryn Mawr University, and Rosemont College. A lot of college students think that it might be too late to start playing an instrument, but we have a lot of dedicated, beginning college students, who have shown a great deal of promise. Also, if you are already intermediate to advanced and trying to continue your musical studies throughout college, we have teachers who have been playing professionally for years who can help you get to the next level. Philly Music Lessons is happy to offer private, in-home guitar, piano, bass and drum lessons to areas all along the main line in Delaware and Montgomery counties. Our professional and dedicated teaching staff can come to you, so you don’t have to take too much time out of your busy schedule. Our in-home rates are not much more than our studio rates, and the convenience of having a teacher come to your home can make all the difference in you or your child sticking with a weekly lesson schedule. Most of our teachers spend at least one day out near City Ave and Lancaster Ave, and it has been a pleasure for all of us to get to know the students and parents in the surrounding areas of Philadelphia. It is important for Philly Music Lessons to bring our passion for music to students from all walks of life. You’d also be surprised at how often the parents of our students sit in on lessons, see the benefits of music firsthand, and actually end up taking lessons themselves! I have been doing home visits throughout Lower Merion to the Bala Cynwyd, Narberth and Ardmore areas for over 3 years now. Two days a week I cross City Avenue near St. Joseph’s University in West Philadelphia and teach guitar and piano lessons to students in the area. It’s always nice to take a drive and get out of the city for a while. The site of the old Barne’s Foundation, the Merion Botanical Park and Belmont Park are all welcome sights along the drive. As I leave Bala Cynwyd and Narberth via Montgomery Avenue, I pass Lower Merion High School, where some of my students in the area attend, and eventually end up in downtown Ardmore where I can stop for a bite to eat. Ardmore is a little gem of a town right outside of the city limits of Philadelphia. I’ve become familiar with it over the past couple years because I’ve worked out the Milkboy recording studios quite a few times. Aside from teaching private music lessons, I am also a recording engineer. I teach regular workshops and recording classes at the Hill School in Pottstown and have helped them build up a state of the art recording facility. Before the studio was built up, we used to record the choir in Ardmore, so the students could get a feel for what it’s like to be in a professional studio and so they could have an album at the end of the year to give to family and friends. We also have a fully equipped recording facility at our studio in the Fishtown and Northern Liberties area of Philadelphia. We believe that recording can be an incredibly useful tool in furthering one’s musical understanding. Our studio is located in the Fishtown neighborhood of Philadelphia, just northeast of Northern Liberties and South Kensington, and only a stones throw away from Center City and the Art Museum area. We’re only a block from the Front and Berks El stop, right near Palmer Park. I’ve lived in Fishtown for over 3 years now, and it is amazing to see how much development is happening along Frankford Avenue and Girard Avenue. Just a couple blocks toward the Delaware River from the studio is where William Penn signed his famous treaty with the Native Americans at Penn Treaty Park. This has been the site of some amazing daytime music festivals, including the Fishtown Shadfest, as well as a couple photo shoots for some of my various musical projects. Fishtown has quickly been developing a thriving music scene, with a growing number of venues for not only indie bands, but some more well established acts, as well. We have a couple teachers who do In-Home lessons for Piano and Drums in the Northern Liberties area, as well. Located just south along the Delaware River from Fishtown, Northern Liberties, over the past decade, has developed into one of Philadelphia’s most thriving restaurant and entertainment districts. At the heart of the neighborhood is the recently developed Piazza and Liberties Walk along 2nd street, and Liberty Lands Park along 3rd street. Liberty Lands Park was the site of a fellow musician’s music festival called Realize Philadelphia, amongst other spring and summer activities. I love going to the Market at the Piazza in the warmer months, where you can pick up anything from amazing custom arts and crafts, to some well curated thrift finds or just a pair of sunglasses. The free parking just north of the Piazza is also a huge plus. As more families move into the Northern Liberties and Fishtown area, we are happy to provide quality In-Home music lessons at an affordable price.